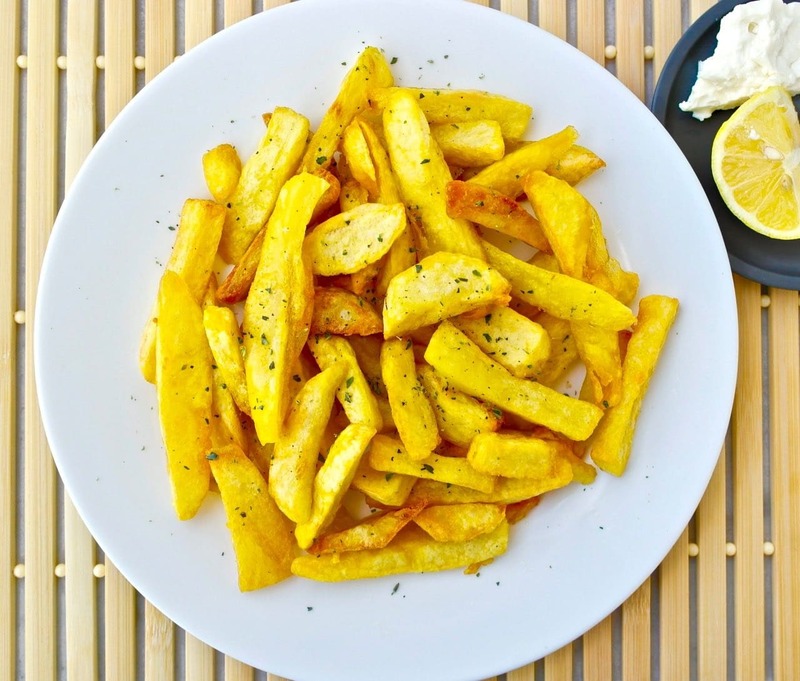 Patates Tiganites, fried potatoes is one of the most adored and most consumed foods today in Greece, but not in the form of a “french fry” a fast food type potato. We are talking about hand-cut potatoes fried in olive oil. The flavor and texture is amazing. I know almost no Greek who will go to a tavern and not order patates tiganites for all to share as an appetizer. Sometimes waiters will even add it to your order before you even ask for them, because they assume you will want them – and usually they are right.At home, patates tiganites are served especially in the evening as an accompaniment to whatever one was eating. It is something you whip up quickly and is often served with a salad and eggs for a quick meal. My most vivid memories of patates tiganites are the ones my grandmother at my fathers village made. She would make a smallish batch (we all shared) in the evenings and place it in the middle of the table. They were so good -crispy and golden on the outside, soft on the inside. These fries were nothing like the french fries you get at fast food joints. Today, while most taverns here in Greece offer patates tiganites, it is rare to find the “good” ones anymore. Most often than not, they are frozen and even if they are fresh they are not fried in olive oil, but palm oil or corn oil or some other cheap (and unhealthy vegetable oil) which makes them tasteless. A restaurant that serves real patates tiganites is prized among Greek consumers. For this recipe, I share the technique of my grandmother. It involves high temperature in the beginning and then a bit lower temperature to make sure they are cooked inside. 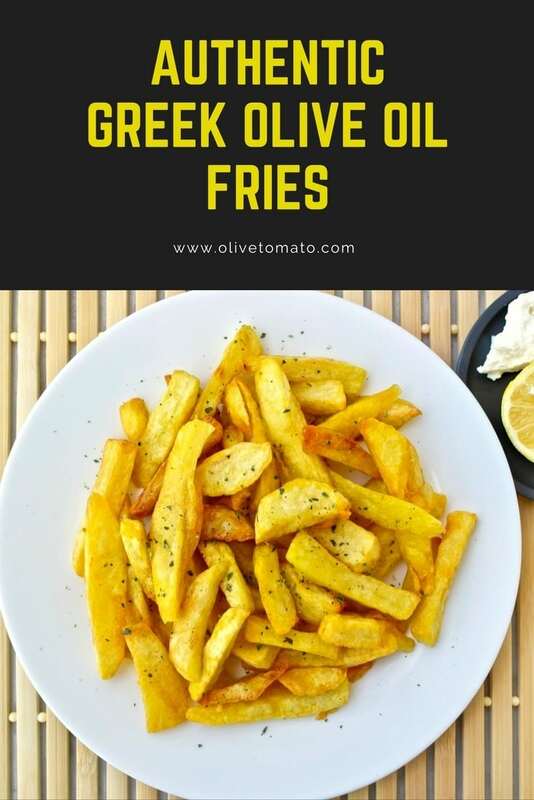 Also this is not deep frying, most Greek people fry their potatoes in a pan, and my grandmother in a pot but kept the fries in one layer. They are not traditionally fried in a deep fryer, you are not submerging the fries in a pool of oil. Also, my grandmother had a gas stovetop, and so do I which provides better and immediate control of the heating source, so the results may be different if you have an electric stovetop. Before I start with the recipe, I want mention the issue of frying with olive oil. First of all as I have discussed in other posts, it is OK to fry with olive oil. In fact, Greek and Southern Italians (who had the prototype of the Mediterranean diet) only fried in olive oil-they didn’t have anything else. Secondly, the smoke point of olive oil is not as low as you think ranging between 365 to 410, and you will not surpass that when frying at home. Third, studies have shown that the heart health of individuals who follow a Mediterranean diet and eat occasionally fried food in olive oil is not affected negatively. Fourth, the same study showed that these results apply as long as the olive oil is fresh, you should not re-use olive oil – at most 2 times. Fifth, This is more of an observation: All those Greeks who had the highest life expectancy worldwide years ago, guess what? They only used olive oil for frying and cooking. Having said that, fried foods are not an everyday occurrence, but on occasions it’s nice to have these potatoes. They are great as an appetizer but also pair well with meats cooked in tomato sauce. Make sure you soak the potatoes in water for at least an hour. It removes some of the starch and helps them become crunchier. Don’t cut them too thin, otherwise you won’t get the softness inside. And don’t try to make them perfectly shaped, the beauty of patates tiganites is also their uneven shape. Make sure the olive oil is hot enough, otherwise they will absorb a lot of olive oil and become soggy. There are a lot of techniques out there and while I know my yiayia was not measuring the temperature of the oil, here is what I measured. In the beginning, the olive oil was heated to about 330-350 F.
Make sure the potatoes are all in one layer and the olive oil used barely covers them, about an inch high. Serve immediately. Nobody likes cold fries. My favorite way of enjoying these fried potatoes is with a sprinkle of dry oregano, some crumbled feta and a few drops of lemon. Peel the potatoes and cut in long pieces, don’t try to make them perfectly shaped. Soak them in a bowl of water for at least an hour. Drain and place them in a bowl, salt them and mix them with your hands so that all pieces are covered. In a pot or pan that has enough space for the potatoes in one layer, add some olive oil, about an inch high. Heat the olive oil on medium heat, once the oil starts making sizzling noises (I measured a temperature of about 330 F) you add the potatoes. Fry the potatoes at this temperature for about 5 minutes. Stir gently a few times so that the potatoes do not stick. After that, lower the heat and continue frying for another 5 minutes and then raise the heat slightly and fry for 2-3 minutes more until you have a golden color. Place a plate with paper towels and remove the fries with a slotted spoon and place them on the napkins. Place another napkin on top to absorb any oil. Serve on a plate, and sprinkle dry oregano and a bit of salt if needed. You may accompany with feta cheese and lemon. Hi Eva, It’s too bad you have that in Cyprus too. Yes! I love eggs and potatoes too! Hi Janice, Yes, I wanted to give an idea of how much olive oil is needed, I used about a 1/2 cup to make the fries in the photo, so more on the higher end, depending on the size of the pan. If you can fit the potatoes in one layer in a smaller pan, the better as you use less oil. I’m not sure for the cast iron pan, as it most likely keeps things hot longer, and you need to lower the heat after 5 minutes. 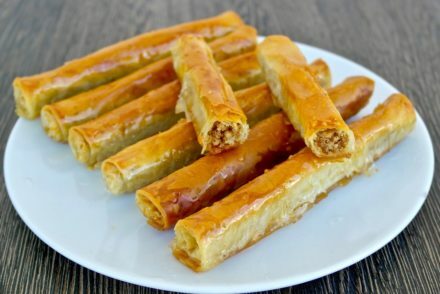 We have been traveling in Greece for the last 18 years and one of my treats is the patates tsiganites. had them all over but the best we came across are in Naxos end of June and July when they are picked in the fields. it is beyond a delicacy, it’s heaven in your plate and palate. 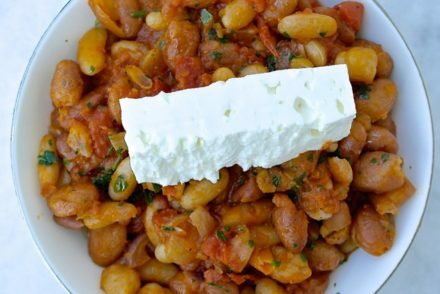 Off the ferryboat, we usually walk over to “Ειρηνη” taverna and get an order of these. The smaller tavernas will fry them in a small saucepan, same thing for kalamarakia, just like the way you propose it should be cooked. Kali orexi!!! Thank you for sharing! Naxos has excellent potatoes and I believe they have a potato festival in July. Hi Elena! 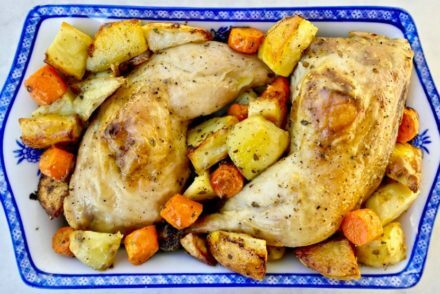 Love this recipe as I also grew up in an Italian family eating fried potatoes in olive oil:). Potata frite! Potata frite! Wonderful. There have been some thoughts for small group tours, but nothing concrete yet. Hi Elena – these fries look delicious! What type of potato is best for these? Thanks Paula! A medium-starch potato will work fine.